Next blog in the “From Good to Great” series (Don’t Copy Find Your Own Way, Radical Transparency, Agile Mindset, and Collaboration) is focusing on cross-functional teams. It seems like basics, but I realized that organizations still don’t fully understand why the cross-functional teams are critical to Agile and Scrum success. The next topic in my Agile HR series focuses on evaluations and performance reviews. The more organizations shift to Agile, the more they need to redesign how they work with the employees. During this series, we focus on different functions of HR in Agile organization and explain the fundamental shift HR need to do in order to support agility in the organization. Let's talk about Recruiting. The next blog in the From Good to Great series which started by Don’t copy, find your own way and Radical transparency is focusing on the most important part of being Agile – Agile mindset. I travel & speak at many conferences each year. Here is my list of TOP 10 Agile conferences you shall attend in 2019. I started the series From Good to Great by advising you to find your own way of being Agile. The next blog focuses on radical transparency. Let’s be truthful for a moment, how many organizations you worked for have real transparency, and how many are hiding information behind the teams or department walls, encourage by processes and claimed the necessity of being compliant. Lack of transparency is a strong weapon which eventually can kill any Agile transformation as it makes collaboration and self-organization almost impossible. Are you also wondering why you shall be Agile and your board of directors and the executive team is not? I wrote about Agile at the executive team last time, now it’s time to have a look at the board of directors. Read more about Agile at Board of Directors level. Building a great team is not that simple as it may look. Sometimes you are lucky and the team just forms without any effort, sometimes you are not and all you get is the group of individuals and all the effort forming a one unifying goal are failing. In such a case, you may have a look at how toxic is the team environment. One of the topics most of the project managers and traditional organizations at the beginning of their Agile transformation journey are struggling are deadlines. How can we do Scrum and commit ourselves to the date when we don’t know the scope? Let’s make this clear. Agile can’t stay just at the team level. Agile transformation only creates disturbance and gap between the management and employees. And the more Agile the teams are, the bigger the disconnect is. Managers feel lost, forgotten and start to be frustrated that those self-organizing teams might eventually not need them. Read more about Agile at an executive team level. Many Czech corporations are now starting their Agile journey, at least they say so. Despite fancy labels, they don’t have any desire to change so, unfortunately, you can only expect some ‘fake Agile & Scrum’ and no real outcomes nor fun. How do you recognize them? Agile HR or if you want Talent Management as it is called nowadays turn the whole company around. It’s employees centric, delivering value to the whole organization. At a glance, not much had changed. So what's the key to Agile HR? To continue my with my book recommendations, I have several books here, I would recommend every Agile Leader and manager in Agile Organization to read before they start the Agile transformation. I have several books here, I would recommend every Product Owner to read. It’s a mix which will help you to understand ScrumMaster role in a much broader perspective. Read more about my books recommendation for Product Owners. I have several books here, I would recommend every ScrumMaster to read. It’s a mix which will help you to understand ScrumMaster role in a much broader perspective. Read more about my books recommendation for ScrumMasters. Agile Prague conference goes to the 8th season. There are 5 reasons why you should attend. It seems to be a very common question. So is Agile for you? Some time back I went through the ORSC – Organizational Relationship and System Coaching and wrote this article to share my learning with the Agile community. Now it’s time to share some experiences. Modern world brings not only the different way of developing software called Agile but also changes in the organizational structure and leadership. You see it more and more often. People at the classes are asking why their managers are not there to hear the message. But very often they are, and they are ready to change the entire organization and their leadership style. This is the reason why leadership will be so important in next few years. The world is changing in cycles, fashion goes in cycles, and the same is true for Agile. What was trendy yesterday, is not today and it can change surprisingly fast. So let’s have a look what are the new trends in Agile and what the Agile community is talking about. In order to achieve success at the organizational level, we need to start management talent development program to create leaders who will help to grow a company, make quick decisions and stay ahead of others. Modern leadership style is no longer applying the traditional model of the “leader-follower”, i.e. one decides and the other executes orders. What is modern Agile management or Agile leadership about? Check my list which Agile conferences are worth to visit in 2018. The new State of Scrum Survey is out today. Together with some expected statistics, it brought also few interesting points and surprisingly also short success-stories from different industries for example application of Agile at psychological medicine center, Singapore’s Government Technology Agency, and Target. Read more. The holiday season is here. It’s a lot of tips everywhere what to buy as perfect Christmas gift to your husband, friends, children, parents. But I wasn’t able to find any tips for ScrumMaster gifts. So I decided to write some to make even ScrumMaster happier and leverage their knowledge. One of the things you have to know as a trainer is how to design a content for your class. The traditional teaching methods which were mostly about listening and reading, are very inefficient. Even if you tell a lot of stories, most of the content never survive in people brains until next week. The modern teaching methods are about experience. Read what Agile and Scrum trainers (including CSTs) need to learn in my opinion. A few days back there was a new update to the Scrum Guide – the definition of Scrum. So what’s new in Scrum Guide? Some time ago, when I first heard the definition of LeSS (Large Scaling Scrum) product, I found it a bit unrealistic. Large Scaling Scrum is one of the Agile Scaling methods and I happen to like it as it’s very close to what I had experienced to be successful at various environments before. But the definition of the product is quite wide. Are we already Agile? How do we know we are Agile? What level of Agility have we? Read my opinion about 'Are we Agile?'. Agile and Scrum transformation is not any easy and it takes time. For a big organization, such time can easily be counted in years. During those years you would be dealing with so-called undone organization. Culture is intangible. It’s hard to touch. Hard to define, hard to measure. However, it is the critical piece for the organizational success. We may debate if culture follows an organizational structure or vice versa, but I don’t think it is important. Culture reflects our values and philosophy. The way we are. It is the Agile culture. The world dimension of #ScrumMasterWay concept represents three levels ScrumMasters shall operate. The third element is called Entire System. The world dimension of #ScrumMasterWay concept represents three levels ScrumMasters shall operate. The second element is called Relationships. The world dimension of #ScrumMasterWay concept represents three levels ScrumMasters shall operate. The first element is called My team. Let's talk more about it. Let’s continue with the last element of ‘Myself’ dimension. As we already said in the previous blog posts, each element of this dimension is represented by a dice which you can roll every day of Sprint and choose the aspect you are going to take. The fourth dice stands for leadership. Let’s continue with the next element of ‘Myself’ dimension. As we already said in the previous blog posts, each element of this dimension represented by a dice which you can roll every day or Sprint and choose the aspect you are going to take. The third dice is for choosing the approach – State of mind. Let’s continue with the next element of ‘Myself’ dimension. As we already said in the previous blog post, each element of this dimension represented by a dice which you can roll every day or Sprint and choose the aspect you are going to take. The second dice is for learning. Let’s start with ‘Myself’ dimension. Each element of this dimension represented by a dice which you can roll every day of Sprint and choose the aspect you are going to take. Read more about the #ScrumMasterWay concept. When I first time decided to write my new book The Great ScrumMaster: #ScrumMasterWay I have a clear picture in my head of what I have to write about. I wanted to share what I learned on my ScrumMaster journey, offer you hints on how to avoid problems, bottleneck, falls during the way, and give you an advice on how to become the great ScrumMaster. This was the moment when I invented the #ScrumMasterWays concept - unique path to achieve excellence in Scrum and become the Great ScrumMaster. I travel & speak at many conferences each year. Here is my list of TOP 10 Agile conferences for 2017. As one of the CSTs – Certified Scrum Trainers – I’ve got a unique opportunity to travel around the world during the last two years and teach Scrum at a variety of businesses, organizational environments, and very different cultures. I must admit that Scrum is awesome as it is universal. You can apply it to software, hardware, marketing, HR, executive teams and be rapidly successful, significantly better, change the way of work and become the best of the greatest. See my vision of the Scrum Transformation Journey based on my hands-on experiences. Thanks to AgileNEXT team – Daniel Gullo and Stephen Forte – for recording a podcast with me at Scrum Gathering. Listen what we have talked about. At the beginning of the last year I finished my new book called The Great ScrumMaster: #ScrumMasterWay. At first I self-published it and the book was available for Kindle at Amazon and as a limited series in full-color printed version. I was very happy to see that the book was selling well and also that I got an excellent feedback from readers. My excitement was even bigger when Mike Cohn, one of the Scrum legends, accepted my book into his Addison-Wesley Signature Series (Cohn) and the book was published by this excellent publishing house in January 2017. Get more info about the book. As the world is getting more complex, organizations has to change to keep competitive. They must become more flexible, team oriented, self-organized. And as a consequence, the leaders shall adopt another approach to motivate people and lead the organizations to keep up the speed. Agile Leadership concept was created to help the leaders to understand the nature of the change which is happening in the business right now, and be able to react to the challenges which modern organizations brought in its all complexity. One of the most interesting advanced techniques how to run Sprint Review is the Review bazaar where there is no official Sprint Review meeting, but we run it as a bazaar where different teams are showing their work simultaneously. Scrum Reviews have been for a long time left out of our focus. Teams and ScrumMasters are asking how to improve Sprint planning, Standups, Retrospectives, but most of the time there are no real questions related to the Sprint Review. So how to make the Scrum Sprint Review great? User Story is one of the most common formats how to write Product Backlog Item. It has specific format which forces people to focus on business value. Let see example. When I teach Agile and Scrum classes, people often ask for Product Backlog Example. In order to start, you don’t need any complex tool. Read what I'm doing. Many Scrum teams are asking at the classes how shall we estimate Backlog Items / User Stories? They seem not to be happy with my reply that you don’t need to estimate at all in Scrum. I try to explain. Estimates can be useful. But in that case something has to happen as a result of the estimation process. I want to give you few examples. Product Owner role is usually more understandable for companies that the ScrumMaster role. After all, companies have someone responsible for the product or business. So that’s the candidate. The problem starts when we deep dive into the role understanding and find out that Product owner shall not only understand the business but needs an authority to say “NO”. If you don’t, we mostly end up being late, with stress and low product quality. Let's talk more about it. Agile Prague Conference, which I organize in Prague every year, has already been here for 6 years. We are sold-out again. What is my idea and vision behind the Agile Prague? In my last post I made a point that Scrum contains Kanban. So let’s look at it from another angle. Let’s see what is the most important aspect Scrum provides and which is missing in Kanban. I often get question what is Kanban and if it is better than Scrum. So let's talk about it. Retrospective is the crucial part of your success. Through Retrospective you implement Inspect and Adapt principles. Through Retrospective you learn and become better team, product group, and organization. Let me explain how to Mastering Retrospective. Organizations are constantly evolving. What's the modern Agile organization which I call Organization 3.0? During my CSM – Certified ScrumMaster classes and Agile coaching assignments I realized that the most difficult part of a ScrumMaster role is to accept your goal, and to create a self-organized team. Let me explain the #ScrumMasterWay concept. Great ScrumMasters are rare. Not because it is too difficult to become a great ScrumMaster, but because there is not enough advises on how to become one. Here are a few tips on how to become a great ScrumMaster. If you find this interesting, I’ve just finished a book, The Great ScrumMaster on Amazon Kindle. What Great ScrumMaster does? The state of Agile and Scrum understanding in organizations is not, in any way, great. Many Scrum implementations are failing not because Scrum doesn’t work for the particular organization, but because companies lack the core understanding of the Agile and Scrum mindset. I’ve got a unique opportunity to be co-chair of the global Scrum Gathering Prague. It’s an event for all Agile and Scrum enthusiasts around the globe – the European Gathering usually got around 600 people. Read about my experience to be co-chair. Just a few month ago I passed extensive training on ORSC - Organization and Relationship Systems Coaching. So let me share this experience. 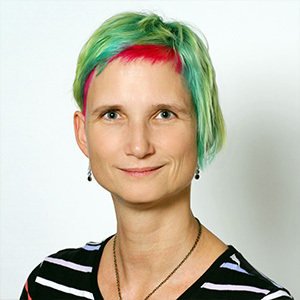 Agile Prague Conference 2015 – Sep 14-15, 2015 got awesome speakers for this year. We were able to get unique experts from all different areas of Agile and Scrum. We have talks on Agile Product Management, Scaling Scrum, DevOps, Test Driven Development – TDD, Behavior Driven Development – BDD, change and improvements. Read more. I’ve been wondering why so many teams believe that Scrum Master is here to draw burndown charts, prepare reports and be the only point of contact for the team, whenever anyone wants anything from them. But the Scrum Master is not a secretary of a team. When you ask this question in the companies, you find out that about 30% of teams believe that he or she is not. What's the reason? Is it good? Just read my blog post Is Product Owner part of the team? How about measurements and KPI’s? Read my blog post Measurements are dead, let’s measure. Few weeks ago we've organized a discussion with Agile Alliance board members about the future of Agile. During Agile transformation, we try to understand how individual peractices work together and what are the expectations from different roles. Product Owner Development Model is describung a way how a Product Owner is slowly changing and understanding the concept of Backlog and User Stories. It's time to join 4th year of Agile Prague Conference. It is in September 15-16, 2014 and it will host almost 40 wonderful speakers in the two days conferece program. Self-organization is one of the key practices. Every Agile team has to be self-organized. But what self-organized team means? Agile is the same at every place, however the particular impementation may differ based on culture and environment. Backlog prioritization seems to be easy, but it's not that simple. Relative weights game can help you with estimationg business value. Finally the next step in your Agile transformation is to realize our company need to change as well. Finally, in the Agile adoption story we had enough of trying. It’s just a process, follow it! The next step in the Agile adoption journey is to make a team. Is a group of collocated people a team already? 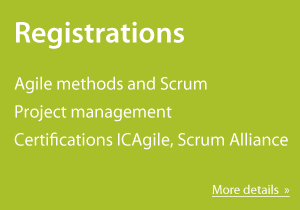 The company started to realize that Scrum is not any silver bullet... so how about certification? That sounds great. To continue a story about most common agile adoption mistakes, the next one is We can use just a few practices. The first part of teh most usual agile adoption mistakes: don;t think about reasons for change as Agile is new and cool, let’s start! What is Agile really about? It's hard to define, Agile is a culture and mindes more than traditional process. See more blog articles at agile-scrum.com.